The severe stresses created by whiplash can be managed and improved through proper chiropractic care. Our free guide can help you take the first steps. Hanson Chiropractic has been offering high-quality whole-body health services in Everett, WA since 1995. Meet our team, and learn how we can help you. Learn how to manage your back pain with this free guide from Hanson Chiropractic. Let us help transform your health, naturally! Hanson Chiropractic in Everett, WA is the region’s foremost athletic and therapeutic chiropractic practitioner specializing in helping you find pain relief naturally. Our convenient location and friendly staff make sure that your holistic well-being is properly maintained. We help our patients relieve pain naturally with some of the most advanced chiropractic care available anywhere. Whether you are suffering from muscular discomfort, back pain, whiplash symptoms, headaches, etc., allow our expert doctors at Hanson Chiropractic to help you find the relief and comfort you need. 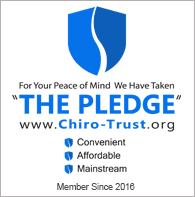 Voted top Chiropractor Everett WA in 2014, 2015, 2016, 2017, and 2018. We have been recognized for giving the best chiropractic care and service. Our team of Chiropractors includes Dr. Peter Hanson, a leading chiropractic care authority among his peers because of his strong background and experience. In addition to our incredible chiropractic care we have one of the best massage practices in Everett. Noted for consistently giving the best massages coupled with unbeatable service, it is not surprising why most clients with a variety of conditions have trust in Hanson Chiropractic. If it’s your first time in the clinic, a chiropractor will consult with you and evaluate you to see if chiropractic care is right for you. After your evaluation if we determine we can help you, Dr. Hanson will develop a therapy plan that is specific to your overall condition, age and health objectives. Even if you are uncertain about whether this can help with your condition, you have nothing to lose by paying us a visit. Enjoy our offer of a free consultation and massage for first time patients. Dr. Hanson, your Everett Chiropractor, looks forward to providing you and your family with excellent service and natural health care through effective Chiropractic treatment and massage therapy. We have been providing the community of Everett excellent care for over 16 years, serving the residents of not only Everett, but also Mukilteo, Mill Creek, Lynnwood, and Edmonds. Call us today at (425) 902-4996 to set up your free consultation and 1 hour massage. Find out how this care can help you live a healthier, more comfortable life. If you’re looking for relief from back pain, neck pain, or other symptoms the chiropractors at Dr. Hanson’s office have helped countless people using the most state of the art techniques in our newly remodeled facilities. Check out all the testimonials and reviews that we have. Those with neck, upper back and lower back pain, bulging or herniated discs, pinched nerves, muscle pain or stress, headaches, and even joint pain such as in the shoulder, elbow, knee, etc. have all been helped by our program. Eliminating the pain is only the beginning here at our office. It’s more about enhancing your overall health naturally, without utilizing harmful drugs or complicated surgical procedures. With that said, we are now offering you our New Patient Special! You can get a free consultation and 1 hour massage just by calling our office now at (425) 902-4996, or filling out the form in the upper right section of this page! Our comprehensive chiropractic care is focused on improving your overall health. We have specialized services to fit each area of your life. Back pain is a common ailment among adults, but with proper treatment it can be managed and even cured. Industrial or office work-related injuries can result in debilitating pain, but we can help you manage it. One of the most common problems faced by many adults is neck pain, but this can be addressed through chiropractic care. Whiplash injuries often result from auto accidents and sudden impacts such as falling, but proper chiropractic care can help. Headaches can be caused by a number of conditions. We can help you sort through the potential causes. Chronic sciatic nerve pain is suffered by thousands of adults in the United States. Let us help you deal with it. Our staff is well-trained and professional, and we want to be your first choice for care.